Hi everyone! As some of you know, I recently self-published a book of poetry called Bless the Bitter Night: Poems about Failed Love in the Modern World. At first, when I planned on self-publishing, I decided to only release a print version of the book since I’d heard that poetry and e-readers just didn’t mix. Plus, the task of formatting my collection for an e-book seemed daunting–until I stumbled across India Drummond, that is. India, you wonderful woman, you. I love you. Seriously. Love. OK, back on topic. India is a self-published fantasy author who was kind enough to make video tutorials for both print (CreateSpace) and e-book formatting. Hallelujah. You can find her tutorials here. I only used bits and pieces of her print tutorial since I used a CreateSpace Word template, which takes care of margins and some other formatting things. I followed her e-book tutorial completely, and have no complaints. You will most likely still need to mess around with formatting if you plan to upload your book to Smashwords (which you should), but Jutoh–the program she uses in her tutorial–does a great job formatting .mobi and .epub files, which are used for Kindles, Nooks and several other popular e-readers. For Smashwords, read over their guidelines carefully. If you get an error message, keep trying. You’ll get there! Jutoh is a wonderful program, but it does cost money to buy. Guido Henkel has a guide to e-book formatting that uses free programs, including one called Calibre, which I already have, but totally forgot about when going through the formatting process. Though I haven’t personally used his guide, I’ve heard great things about it. Give it a shot! If you’re planning to self-publish, my last bit of advice is to check out Catherine, Caffeinated, which has tons of tips for self-publishing a book, as well as marketing said book. I won a copy of her book Self-Printed and highly recommend it. It walks you through the entire self-publishing process, including formatting. She also posts tips and tricks on her blog. Rebecca McKeown grew up in a small western New York college town, which has inspired many of her fictional settings. 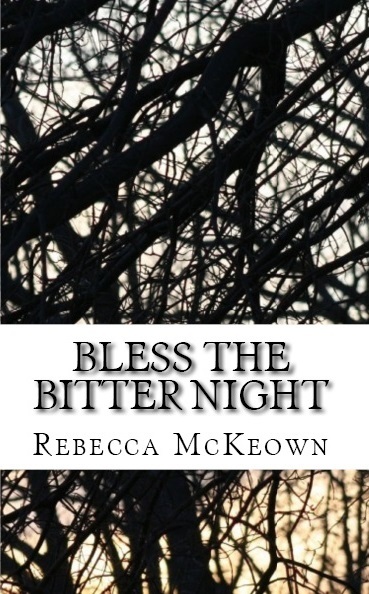 A horror junkie, McKeown creates stories about normal people thrown into very abnormal situations. This entry was posted in Writing Tip and tagged how to self publish, self-publishing, self-publishing tips, tips, writing. Bookmark the permalink.